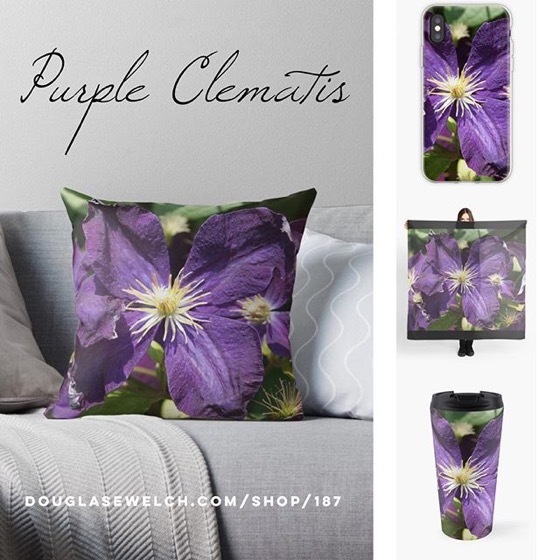 Did you ever wonder what some of those old garden tools in your grandparents’ shed were used for? Heck, I know I used a couple of these when I was helping my grandmother as a child. I hadn’t really thought of it, but many were designed to be horse drawn. 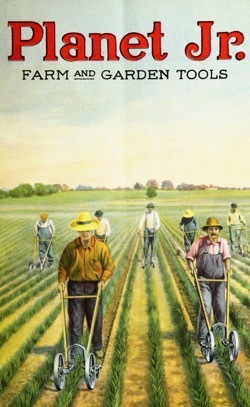 This catalog has a few mentions of tractor-pulled tools, too, but just a few towards the back of the catalog. 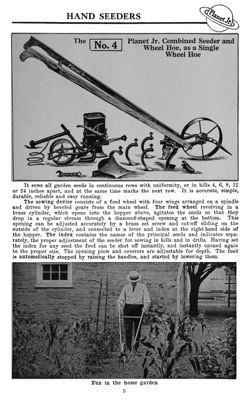 THE need for good Farm and Garden Tools is greater today than ever before for many farmers and gardeners have been unable to replace their worn out equipment since the war. In making replacements bear in mind that quality should be the first consideration, for good and economical work cannot be done with poor tools. 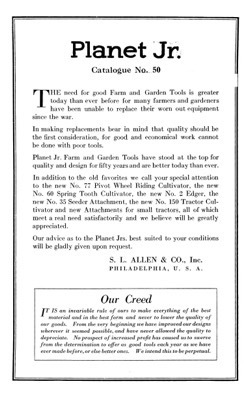 Planet Jr. Farm and Garden Tools have stood at the top for quality and design for fifty years and are better today than ever. In addition to the old favorites we call your special attention to the new No. 77 Pivot Wheel Riding Cultivator, the new No. 60 Spring Tooth Cultivator, the new No. 2 Edger, the new No. 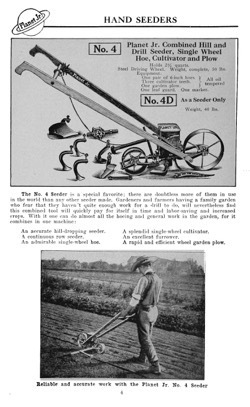 35 Seeder Attachment, the new No. 150 Tractor Cul- tivator and new Attachments for small tractors, all of which meet a real need satisfactorily and we believe will be greatly appreciated. Our advice as to the Planet Jrs. best suited to your conditions will be gladly given upon request. S. L. ALLEN & CO., Inc. IT IS an invariable rule of ours to make everything of the best material and in the best form and never to lower the quality of our goods. From the very beginning we have improved our designs wherever it seemed possible, and have never allowed the quality to depreciate. No prospect of increased profit has caused us to swerve from the determination to offer as good tools each year as we have ever made before, or else better ones. We intend this to be perpetual. Publisher [Philadelphia : S.L. Allen & Co.
Categorized under: Art, Books, Equipment, Farm, Food, Garden History, History, Horticulture, Technology.